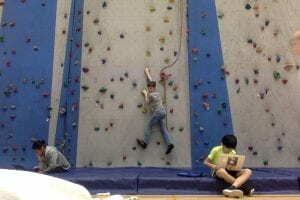 Rock climbing was a really fun experience it was probably one of my favorite days at school. 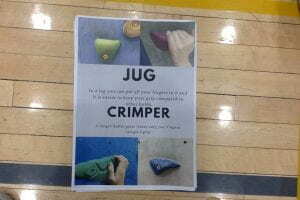 I made a poster with russel robertson and I did it like this, I first put the names of the different types of holds and I chose Jug and crimper I put the words down then under each word I put the description of the Holds. I put it on canva and printed it out. The reason I put rock climbing as my one day group is because I enjoy rock climbing and it was one of the only things on the one day list that wasn’t boring. 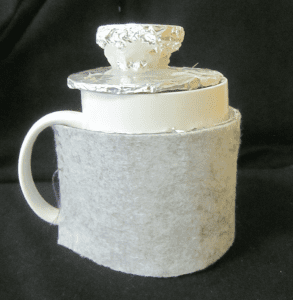 I am proud of my insulator because it kept the hot water hot and warm.It also kept the thermal energy in the cup.One thing I would do differently is make a better lid and maybe put a hole for the thermometer.The hardest thing about the project was sketching the prototype because I had know idea what to do for the project.The quality on the cup was pretty good it stayed on and looks fashionable. 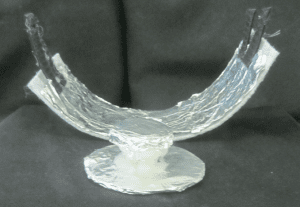 A new skill I have learned is to not use to much hot glue because it will melt pretty fast.